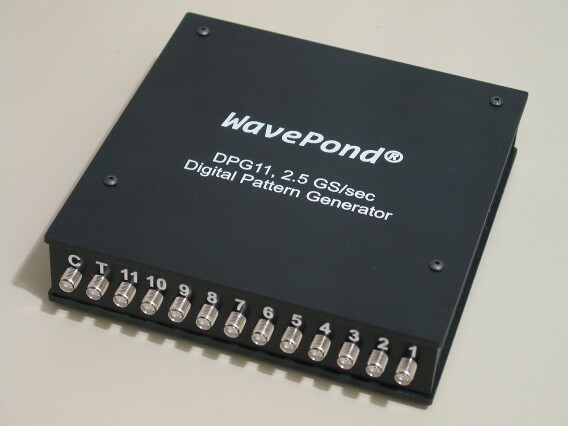 The DPG11-8M is an 11-CH, 2.5 GS/sec, Digital Pattern Generator. It has a programmable clock source that covers 25 MS/sec to 2.5 GS/sec, 8 MSamples/chan, a programmable segment controller, external / internal triggering, and a 10 MHz reference clock input. See below for the product brief, manual, and software drivers.